To create both cards I used the Misc Me Journal packs - yes they are perfect for a December Daily album, but if you're like me and don't do an album each year for Christmas then they come in really handy for cards and tags. Actually now I think about it, you could probably do the same thing with all the Project Life cards as well, but you probably already do! Some of the pages I have fussy cut the images out of like the wee elf pennant, and layered it up with chipboard for a bit of dimension. 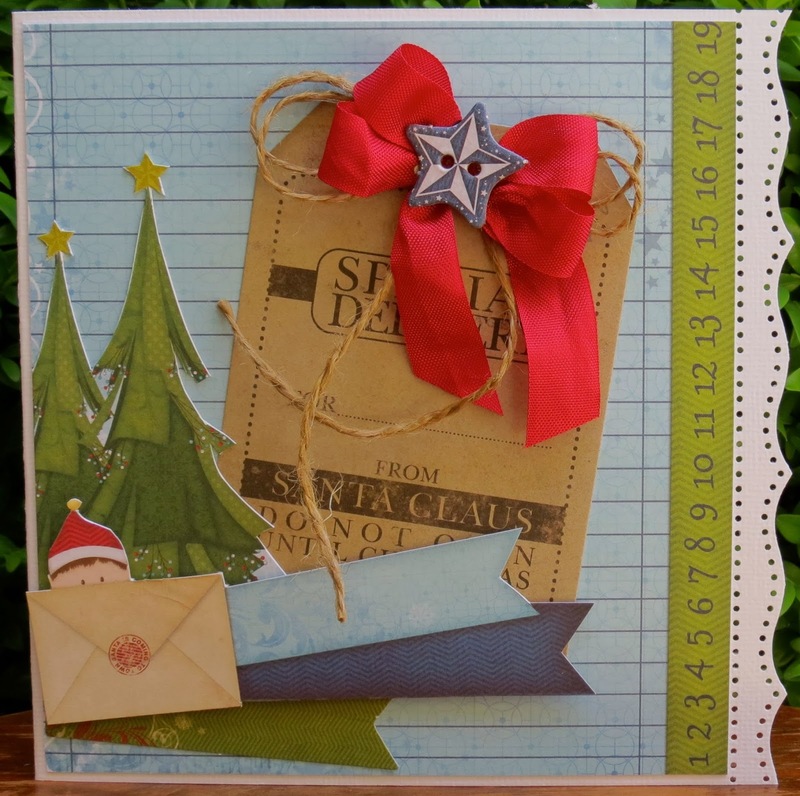 The back ground is a one of the larger journal sheets, with the trees coming from another page, and the tag is in the Noteworthy pack. 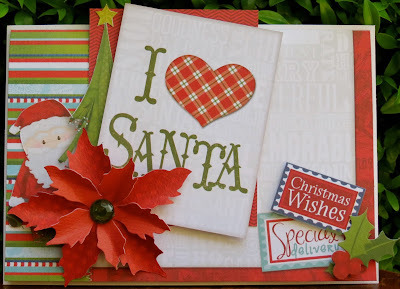 For this card I just folded one of the larger journal sheets in half - the I love Santa is part of the smaller journal sheets, and santa is fussy cut from another. 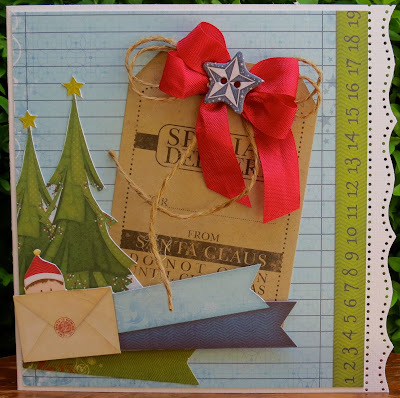 The poinsettia is Tim Holtz, I LOVE this die!